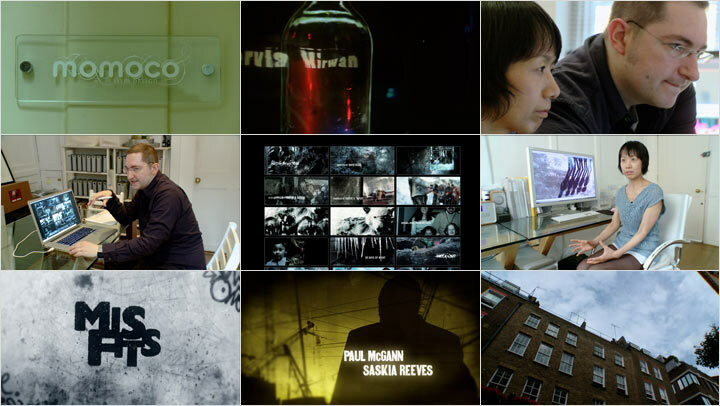 Momoco is arguably one of the most prolific UK studios specialized in creating main titles for film and tv. Their body of work includes main titles for tv shows, such as the crime drama Luther (BBC), the BAFTA-nominated titles for Misfits (E4), and more recently Strike Back (HBO). The list of movie titles is even longer and includes 30 Days of Night, Hard Candy, Dangerous Parking, Love Actually and recently The Three Musketeers. On the occasion of our feature about Momoco's sci-fi short Copelia, we're publishing the video interview with Miki Kato and Nic Benns. "I'm just very enthusiastic about each project. But we have never won a job on quantity. It's just about that singl;e idea. And I usually find that it's better to focus on a single concept and to do an elaborate, pure art direction for that"